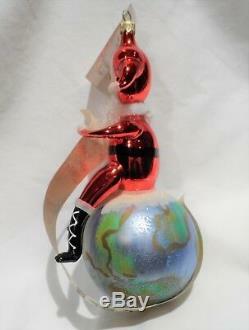 Santa Sitting on Top of the World Ornement. 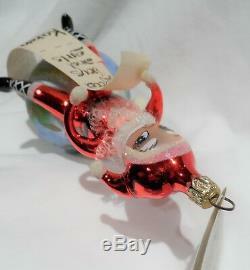 Extremely Rare and Very Hard to find Radko Italian Ornament. This "Checking His List" is new, and has never been displayed! 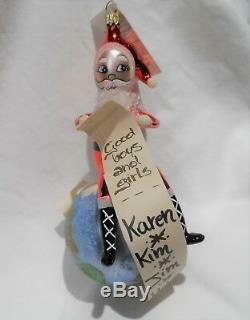 Santa sits atop of the world holding a real paper list of boys & girls, their names scrolling by. 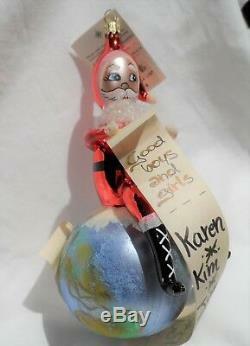 Beautifully detailed, "Checking His List" is sure to become one of your favorite ornaments! This now retired and very hard to find Radko is a prized possession of many collectors. "Checking His List" comes with his tag, no box. Ornament measures approx - 7.5. 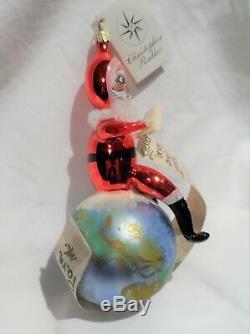 The item "Radko 1999 CHECKING HIS LIST Santa On Top Of The World VERY RARE NEW withTag" is in sale since Saturday, February 2, 2019. 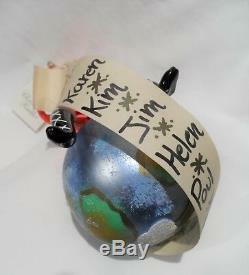 This item is in the category "Collectibles\Decorative Collectibles\Decorative Collectible Brands\Christopher Radko". 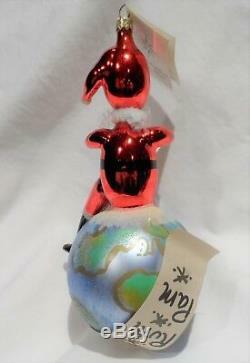 The seller is "rescued-3" and is located in Charleston, South Carolina. This item can be shipped worldwide.